The American national debt stands at $20.49 trillion as of January 2018, or roughly $63,000 for every person in the United States. The national debt has grown six-fold in the past 25 years, and borrowing only has accelerated in recent administrations. What are the factors driving such unrestrained borrowing? Is American fiscal policy different now than in an earlier era? Is there a moral dimension to public debt and, if so, how can that dimension be measured? Public Debt and the Common Good addresses these and other questions by looking to the fiscal policy of the American states. 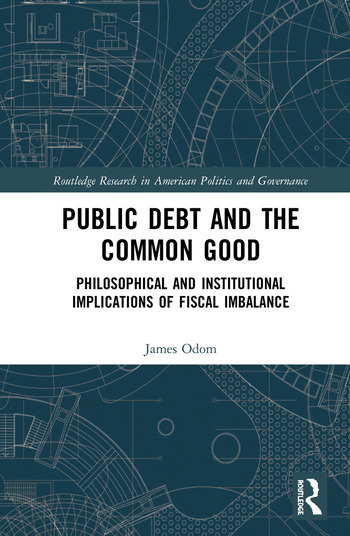 Drawing on classical themes and the longest quantitative review of state debt in the literature, James Odom expertly integrates institutional analysis with dimensions of culture to define the parameters of political freedom in a theoretically coherent way. In doing so, Odom argues that centralization and injustice, or the incapacity for the common good, can help explain state indebtedness. Contributing to ongoing scholarly debates on public debt theory, this book will be of interest to students, scholars, and practitioners who work at the intersection of political philosophy and economics, as well as those who specialize in state public policy, state politics, and federalism more generally. James Odom is Senior Policy Advisor to Texas State Senator Bryan Hughes. A recent Baylor University graduate, Odom has served as Director of Public Affairs at the same institution as well as a policy analyst with then-Sen. John Ashcroft of Missouri. In 2000, Odom was a candidate for the U.S. Congress from Oklahoma's fourth district.